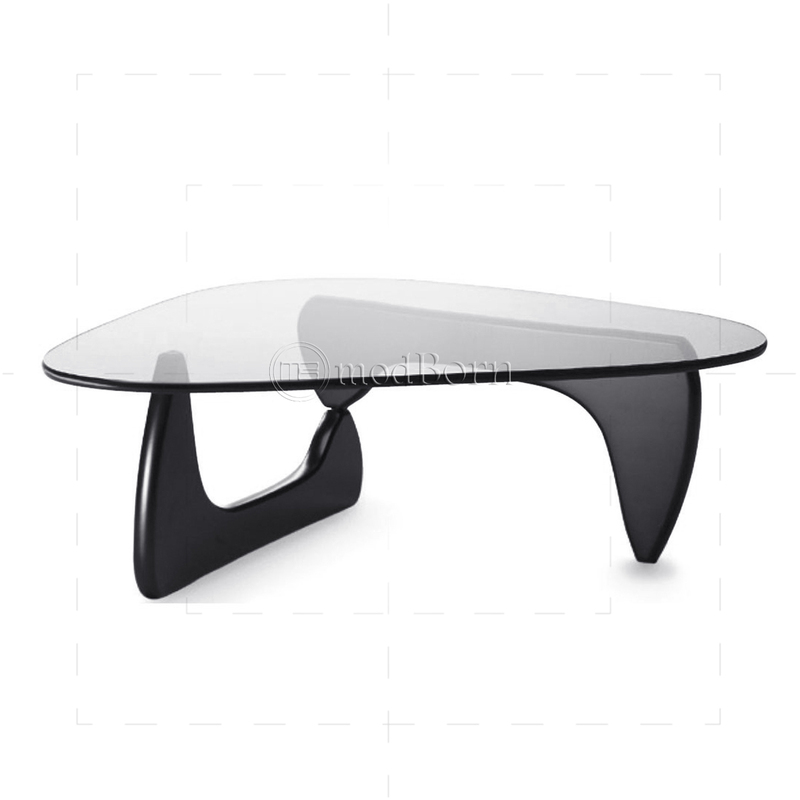 This lsamu Noguchi Style Coffee Table Black has become one of the most distinguished glass table of modern living. 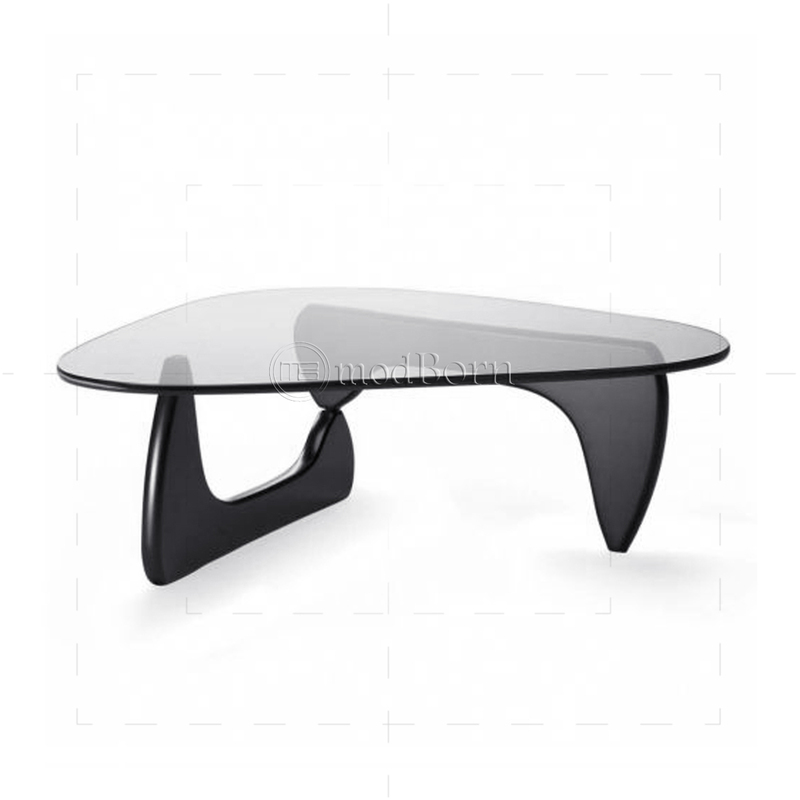 Named after its original designer, Isamu Noguchi, the Noguchi coffee table is a blend of form and function and offers its owner a structure that combines fashion and furniture.It is a Brilliant simple design with Extraordinary harmony of design and style. 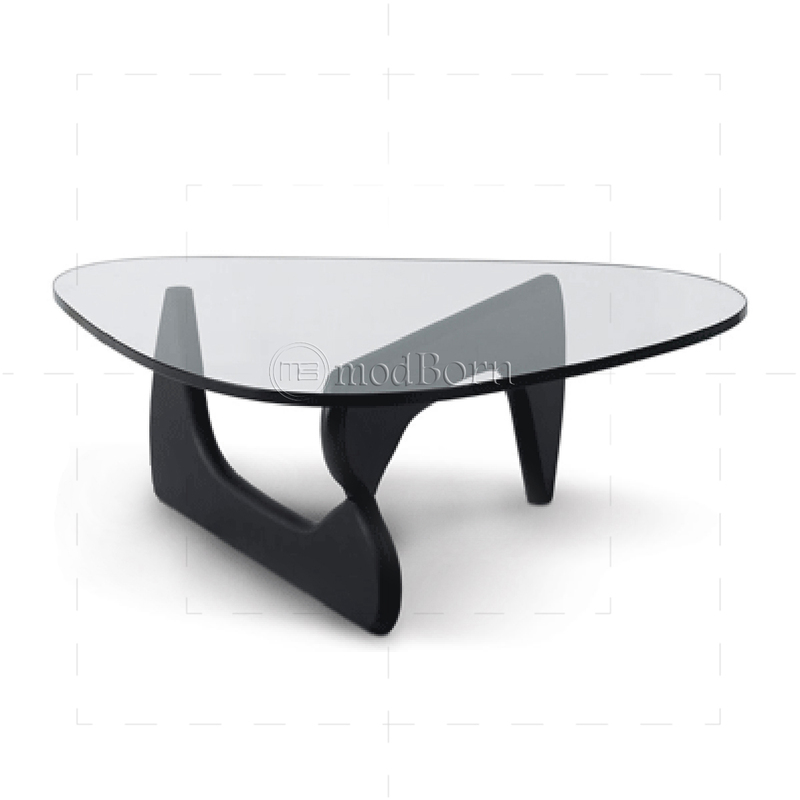 This modern table is Suitable for both home and office. Isamu Noguchi was a prominent Japanese American artist and landscape architect whose artistic career spanned six decades, from the 1920s onward. Known for his sculpture and public works, Noguchi also designed stage sets for various Martha Graham productions, and several mass-produced lamps and furniture pieces, some of which are still manufactured and sold. In 1947, Noguchi began a collaboration with the Herman Miller company, when he joined with George Nelson, Paul László and Charles Eames to produce a catalog containing what is often considered to be the most influential body of modern furniture ever produced, including the iconic Noguchi table which remains in production today His work lives on around the world and at the Noguchi Museum in New York City. Noguchi returned to New York in 1937. He again began to turn out portrait busts, and after various proposals was selected for two sculptures. The first of these, a fountain built of automobile parts for the Ford Motor Company's exhibit at the 1939 New York World's Fair, was thought of poorly by critics and Noguchi alike but nevertheless introduced him to fountain-construction and magnesite. Conversely, his second sculpture, a nine-ton stainless steel bas-relief entitled News, was unveiled over the entrance to the Associated Press building at the Rockefeller Center in April 1940 to much praise. Following further rejections of his playground designs, Noguchi left on a cross-country road trip with Arshile Gorky and Gorky's fiancée in July 1941, eventually separating from them to go to Hollywood. Following the attack on Pearl Harbor, anti-Japanese sentiment was reenergized in the United States, and in response Noguchi formed "Nisei Writers and Artists for Democracy". Noguchi and other group leaders wrote to influential officials, including the congressional committee headed by Representative John H. Tolan, hoping to halt the internment of Japanese Americans; Noguchi later attended the hearings but had little effect on their outcome. He later helped organize a documentary of the internment, but left California before its release; as a legal resident of New York, he was allowed to return home. He hoped to prove Japanese-American loyalty by somehow helping the war effort, but when other governmental departments turned him down, Noguchi met with John Collier, head of the Office of Indian Affairs, who convinced him to travel to the internment camp located on an Indian reservation in Poston, Arizona to promote arts and crafts and community. Noguchi arrived at the Poston camp in May 1942, becoming its only voluntary internee. Noguchi first worked in a carpentry shop, but his hope was to design parks and recreational areas within the camp. Although he created several plans at Poston, among them designs for baseball fields, swimming pools, and a cemetery, he found that the War Relocation Authority had no intention of implementing them. Noguchi also realized that, despite his heritage, he had little in common with the internees, who he described as being mostly unintellectual, nonpolitical farmers. In June, Noguchi applied for release, but intelligence officers labeled him as a "suspicious person" due to his involvement in "Nisei Writers and Artists for Democracy". He was finally granted a month-long furlough on November 12, but never returned; though he was granted a permanent leave afterward, he soon afterward received a deportation order. The Federal Bureau of Investigation, accusing him of espionage, launched into a full investigation of Noguchi which ended only through the American Civil Liberties Union's intervention. Noguchi would later retell his wartime experiences in the British World War II documentary series The World at War.